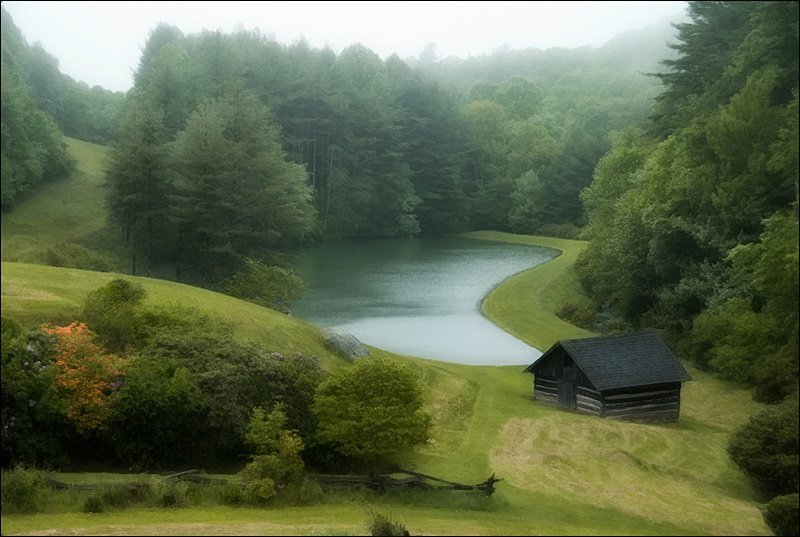 This is the beautiful secluded Blue Ridge preserve where the fog (just coming in when this picture was taken), wind and rain thwarted my wildflower photography plans, for the most part. But as you can imagine, even the walk into the woods around the pond in the drizzle was spectacular. that’s lovely — wish i were there now. Oh my! What a beautiful scene!